Last time I wrote about my latest project, the vintage Vogue dress, I was copying out the pattern. 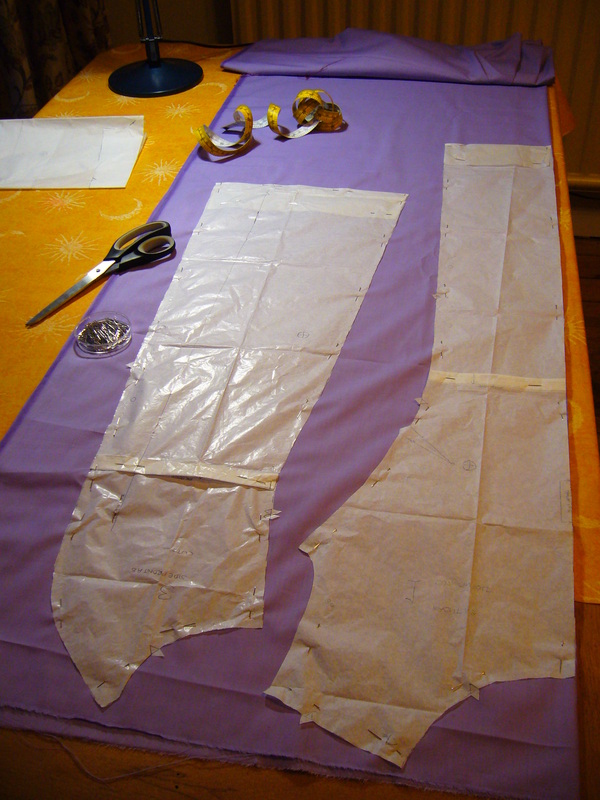 The next thing you need to do after this stage is to simply cut out all the tissue pattern pieces from the big copy you made. Once you’ve got all the tissue pieces cut out, the next thing that you need to do is decide if you’re going to start making your dress straight away, or make a toile. I’ve decided to make a toile so that I can check the fit of the garment and make any adjustments to the pattern before I start working on the really nice fabric I bought for making the dress. A toile is a great option for trying out the fit of a dress because toiles are usually made with a dirt-cheap fabric, so you can chop and change the end product to your heart’s content without the heartbreak of ruining a lovely dress. 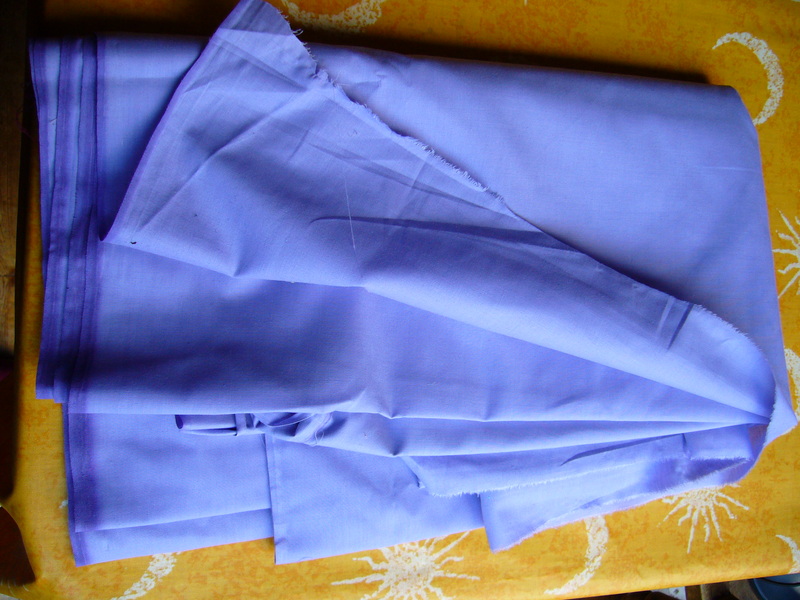 Toiles are traditionally made out of muslin (so they’re also known as “muslins”), but these days there are so many types of low-cost fabric on the market. I went to my usual fabric shop and just asked them for a few yards of the cheapest fabric they sold, which didn’t break the bank at £2.50 a metre. At this price I bought plenty of material to play with, which ended up being a really good thing because I totally messed up cutting out my fabric and had to start all over again. It was a bit upsetting at the time, but it’s just as well that I was only making a toile and I had plenty of spare material. If I had just dived in and was using the super nice material I chose for the dress ages ago, then I would have ruined the whole project and I would probably still be crying about it now. So I’ve learnt a couple of things from this experience. First of all, always make a toile if you’re going to be working with fabric you love, and, secondly, it’s okay to make mistakes because it’s all part of the learning process. The first thing to do when cutting out your chosen fabric is to consult the instruction leaflet that came with your pattern. 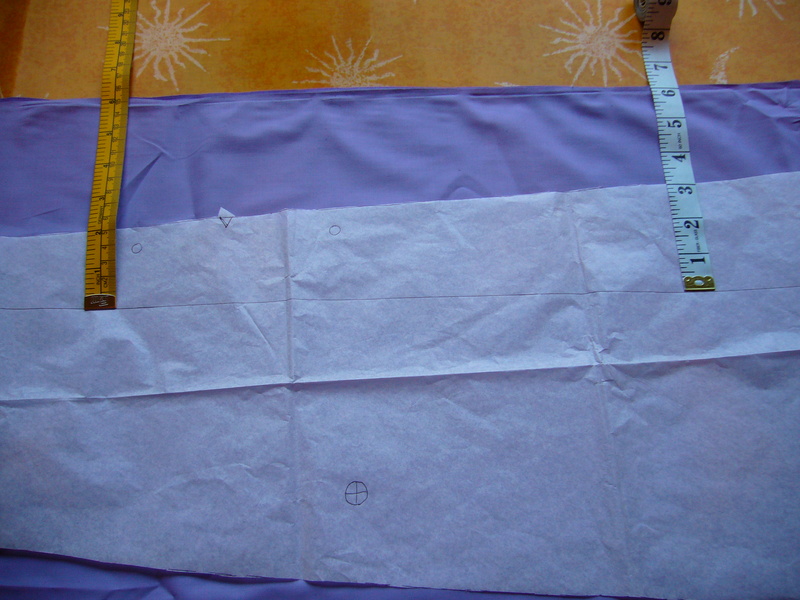 There should be a section that tells you how to fold the cloth according to how wide it is, and also which arrangement to lay out the pattern pieces in so that you can be really economical with the amount of fabric you use to make the dress. Make sure you double-check which pieces need to be on the fold side of the material (your instructions should tell you this). Some pattern pieces will have a really long arrow going down their centre. This is the grainline, and you have to make sure that this lies parallel with the salvage edge of the material so that your dress will hang properly when you wear it. Otherwise your dress might look kind of weird. Some of the grainlines are pretty long, so always use a tape measure to check that it’s the same distance from the salvage edge at several points along the grainline. If you’re pretty experienced, you can probably do this with the naked eye. 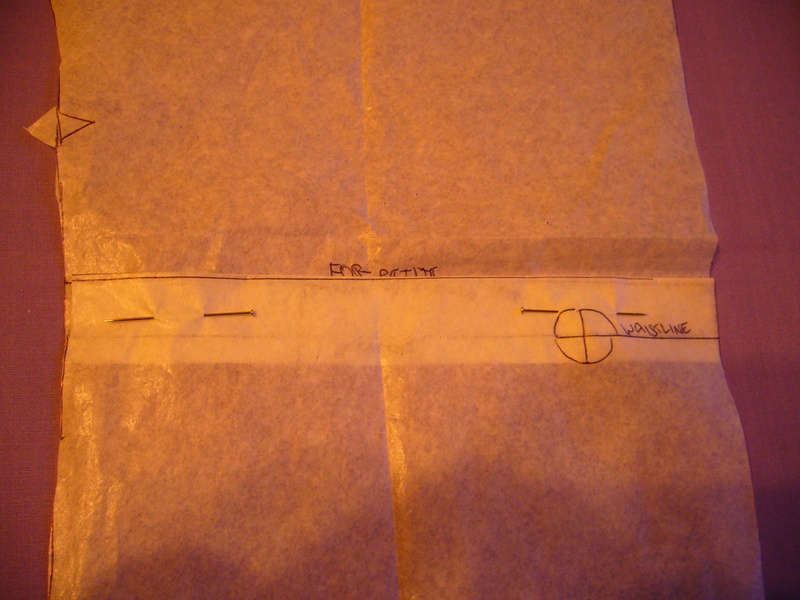 The next thing to do is to pin the pattern to the fabric at several points along the grainline. 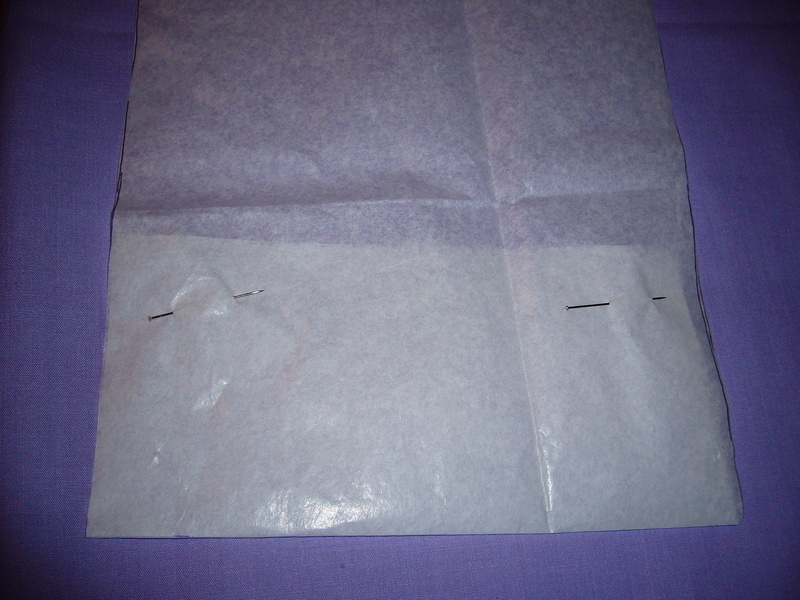 This keeps the tissue in place while you pin around the edge of the pattern piece. Now you’ve got all your pattern pieces pinned to the fabric, start your cutting! … and this is where it all went terribly wrong. I cut out my pieces with gay abandon, and then my much wiser Mom walked in and asked me why I was making a dress for someone 8 inches taller than myself. I had forgotten to adjust the pattern for the petite size before I cut it out. After a few shed tears and a cup of tea, I started again. 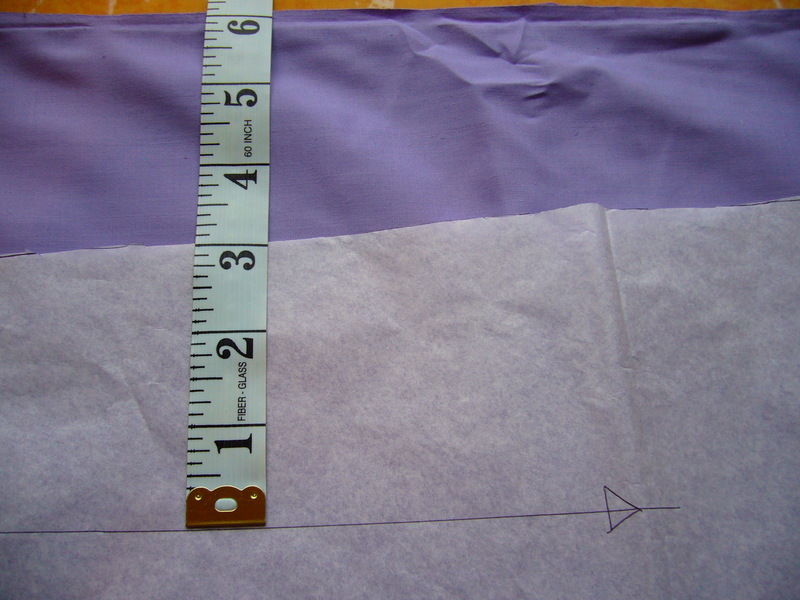 This time, however, I adjusted the size of the pattern before laying it onto the fabric. I shortened the waist where it said “adjust here for petite”. I should have seen that might be a clue for something, but nevermind. Then I got a friend to measure the distance from the back of my neck to my knee, and took up the end of the dress accordingly. 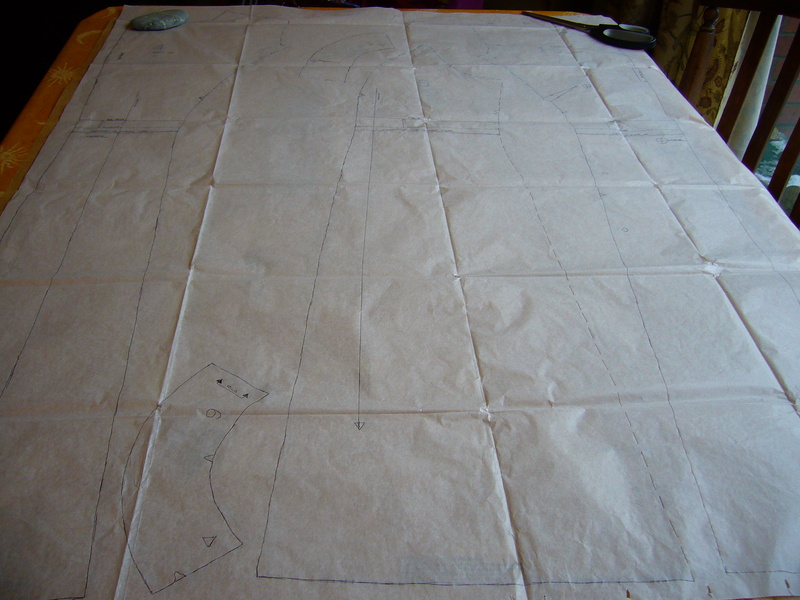 After all that palaver, I was back to laying out the pattern on the fabric again. Only this time, I was making a dress for me and not a very tall friend. 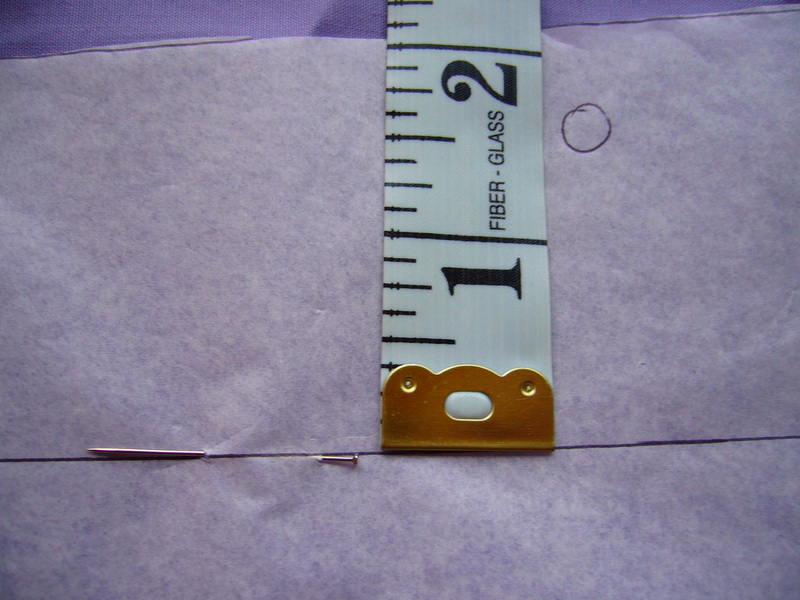 I repeated the work on the grainline, and re-pinned the pattern to the fabric. Then I decided to double-check what I had done before I cut it out. a dress that should fit me, at last. Next I’ll be putting all the pieces together, so please check back to see the finished toile.